With Independence Day just a week away I thought I would share some cupcakes that really caught my eye as I surfed the web. Oh you bet I'm going to have to try these!! 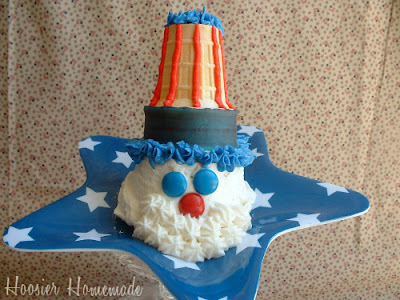 Love this SUPER cute Uncle Sam cupcake that I spotted on Flickr. You can see a full tutorial on how to make these at Hoosier Homemade. 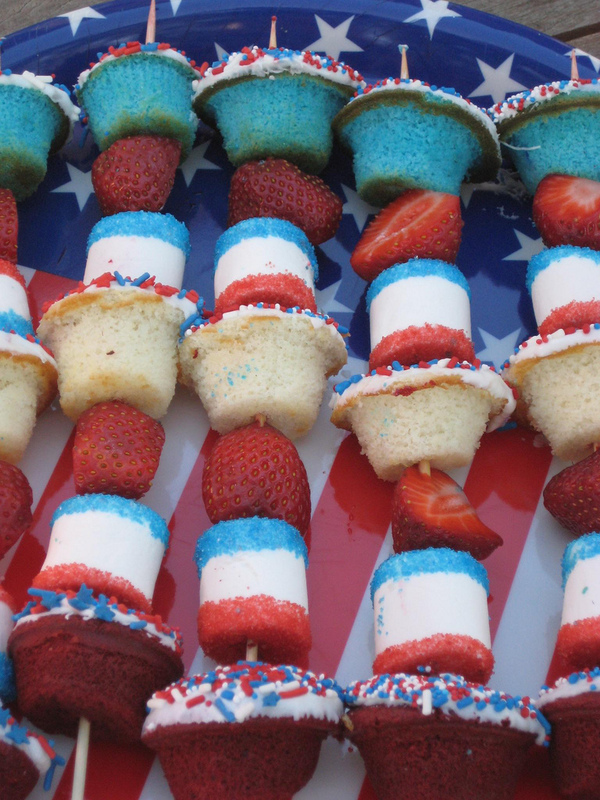 Aren't these patriotic cupcake kabobs the coolest!! Kristen from Meringue Bake Shop posted a tutorial on how to make these on Flickr...check it out! 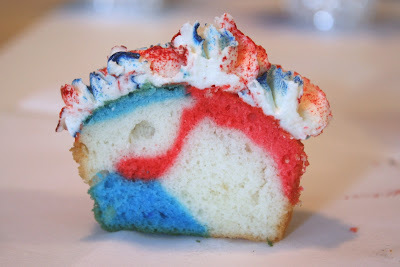 Swirled with red, white and blue cake batter these easy cupcakes from Chica and Jo make quite a statement. Plus they include some really cool 4th of July cupcake collars you can download and print. Sooooo cute!! I think this qualifies as a cupcake...I just couldn't pass this up! 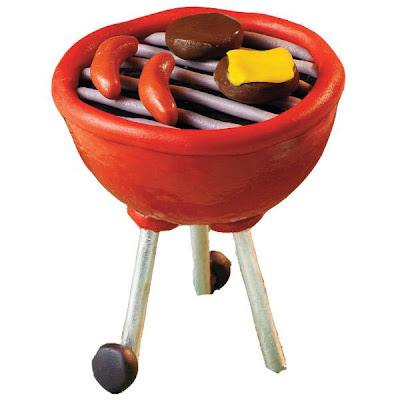 This ADORABLE grill from Wilton is made with a mini ball baking pan. Then make the additions with colorful candy melts and candy clay. 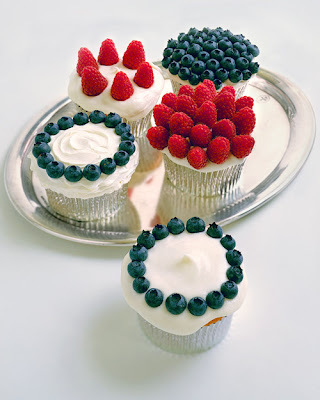 Love these super simple, fruity fun, and stunningly festive cupcakes from Martha.